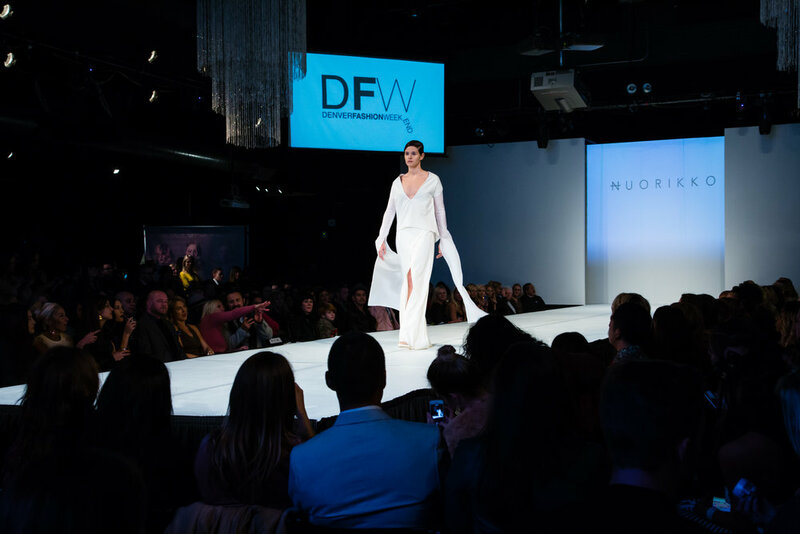 Nuorikko's first fashion show: Denver Fashion Week Weekend, Fall 2017. Wait...Denver has a fashion presence, you ask? Why yes...there is a reason why we chose to stay in this city that we love and founded a forward-thinking fashion brand where there is a small, but growing, apparel industry. Denver's fashion scene is home to some pretty incredible innovative and sustainably-minded companies, and we are proud to be part of expanding the fashion presence in our home city! Spring 2018 Collection: "Evolving the Bridal Gown"
Like what you see? Contact us with any questions about your online order. Stay tuned for the drop of our first fashion capsule, featuring Oivi, Lilla, Repekka, and many more limited-release styles, scheduled for February 2018! !